Many people think that direct mail is expensive, and it can be. But it doesn’t have to be that way. 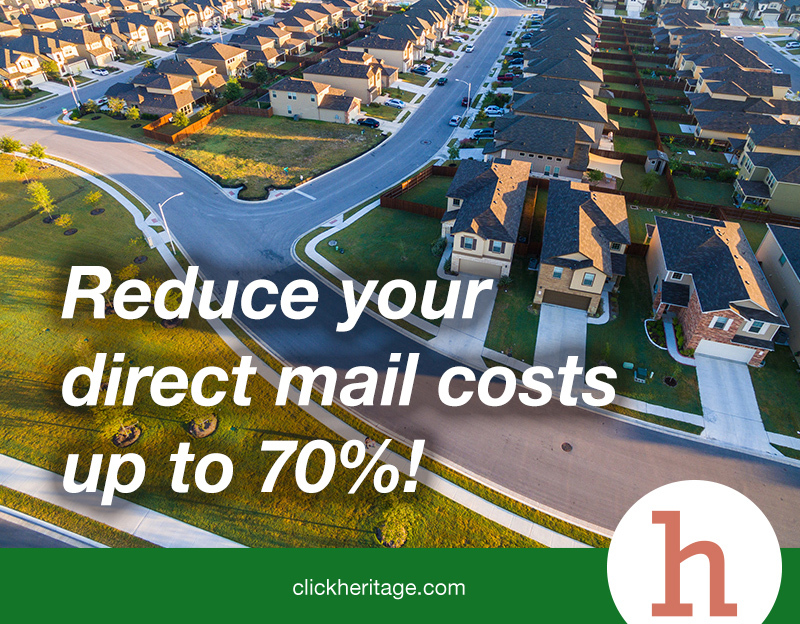 You can reduce the cost of direct mail by as much as 70 percent by using an innovative program from the U.S. Postal Service called Every Door Direct Mail (EDDM). Every Door Direct Mail allows you to target your customers in individual neighborhoods (carrier routes) instead of mailing to specific names and addresses. By selecting Every Door Direct Mail, your cost is lowered to pennies per direct mail piece. What kind of designs are allowed with the USPS’ Every Door Direct Mail? The U.S. Postal Service allows four sizes of large, eye-popping postcards, which command people’s attention in the mailbox. For a slightly higher rate, you can also use this program to mail brochures and catalogs. How do I set my target audience criteria with Every Door Direct Mail? Target your direct mailings by age, income and household size. This enables you to minimize waste and zero-in on your best prospects. Zip code and carrier route targeting are ideal for local retail businesses who want to cultivate brand awareness within a specific geographic area. Retailers can easily and affordably reach their retail-trading zone. With EDDM no expensive mailing list is needed. EDDM uses the Postal Service’s simplified address system to ensure that every household that meets your criteria receives your mailing. Read that again: every household that meets your criteria receives your mailing. No postal permits are required either. What kind of messaging is perfect for EDDM? Designing high-impact direct mail pieces that get excellent response and conform to USPS regulations for the EDDM program. Managing the USPS paperwork for you, freeing you up to spend more time on other tasks. Mailing: We count, bundle and ensure your mailing follows all USPS’ Every Door Direct Mail regulations. Have questions? Call or email us today.